In most schools, high school graduation songs are one of many senior class symbols, along with such things as class colors, a class flower, and a class quote. A good senior song provides a memento of the year, bringing back treasured memories whenever it is heard in the future, although oftentimes the tune was recorded long before the graduation year. When choosing songs for graduation for your high school, there are many options. 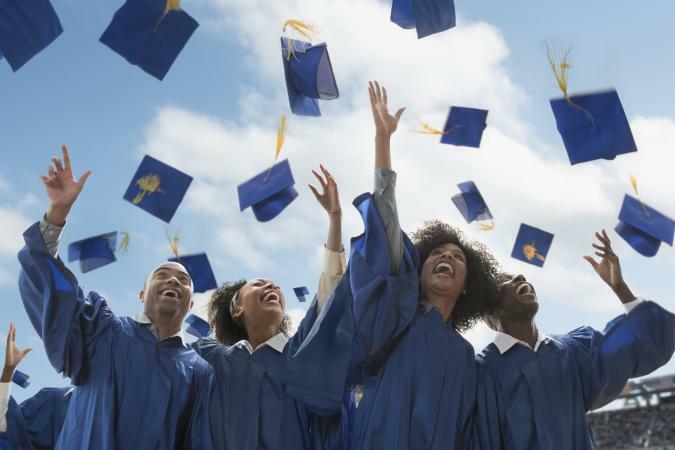 Most high school graduation songs focus on the themes of remembering the good times, the promise of the future, and growing up. They may be from any genre. The following are some popular song choices. If you're looking for more ideas, these songs all speak to themes of freedom, coming of age or moving on. Some are iconic, and some are sure to top playlists for years to come. High school classes often play graduation songs at senior events like prom and the actual graduation ceremony, so they should be chosen with a varied audience in mind. Songs can't have any inappropriate language or suggestive lyrics. It's also important to consider the type of music that the student body enjoys. Many band, orchestra, and choir directors make a point of having their students perform the senior song, so you may also want to consider the availability of orchestral and choral arrangements of potential songs. If you're getting ready to make the high school graduation song decision, consider the following steps. Gather song ideas/nominations from students. Make announcements and spread the word to your friends and classmates that this is their chance to let their opinions be heard. Have class officers narrow the ideas down to a reasonable number to present on a ballot. Four to six songs would be ideal. The officers can make cuts by only choosing songs with multiple nominations and by eliminating songs that may present problems, such as a song with vulgar lyrics. If possible, before voting, play the songs for students or offer a chance to read the lyrics. Some students may be swayed by a good title without realizing what the song is really about or how it sounds, leading to a vote for a song they don't really enjoy. Ask the senior students to vote for their favorite song. If the school will allow it, a class-wide assembly is the easiest way to hold a vote. This will bring the largest number of seniors together at the same time and hopefully allow more students to have a say in the final decision. Voting can also take place during homeroom, lunch periods, or before and after school. This entire process can also take place alongside voting for other class symbols. Simply expand the nomination and ballot guidelines. If you are not holding the vote during an assembly, you may need to take steps to prevent ballot stuffing. One way to do this is to create a class list and cross off each student's name as he or she is given a ballot. When voting is complete, count the votes. Present the results to the senior class through an announcement and possibly a bulletin board or other public display. 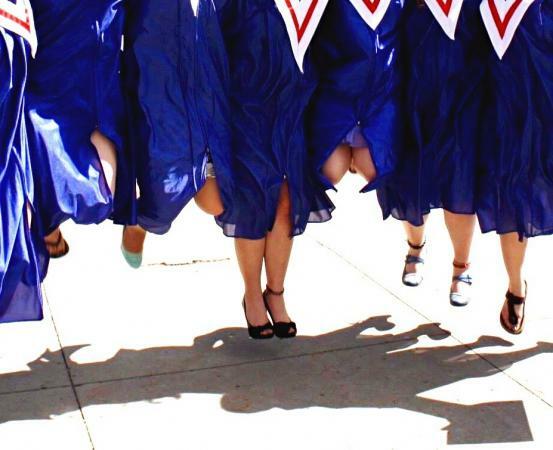 The most popular way to choose a high school graduation song is to have a vote. Some schools also leave the final decision up to the senior class officers, while others allow the music department to decide. The right high school graduation songs can lend ambience to the graduation ceremony and make the whole experience more meaningful. No matter which way you go, choose a song that will call up memories of this special time when class members hear it in years to come.